My boyfriend had been talking about potato wedges for a while, so I decided to make some of our own! I usually just make oven-roasted potatoes- not much different right? Wrong. There is something especially delicious about potato wedges- maybe it is the fluffy potatoes inside the crisp coating, or maybe it is the nostolgia of eating them with ketchup or BBQ and being reminded of your childhood. Either way, this is something you need to try. 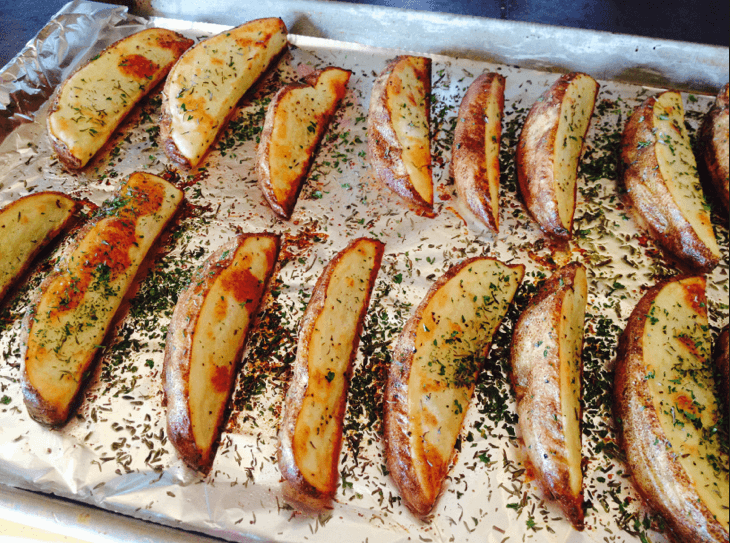 Cut potatoes into wedges lengthwise, creating 6 per potato. Soak potato wedges in bowl of ice water for 30 minutes. Dry the potatoes. Toss with olive oil and spices in a large bowl. 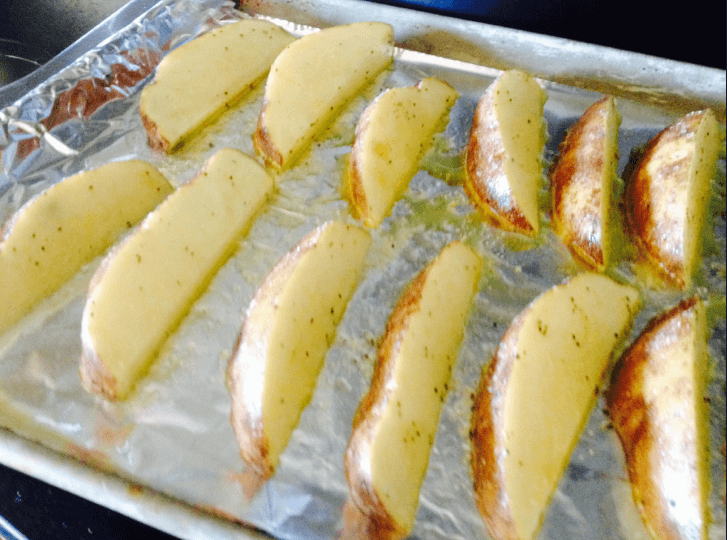 Line a baking sheet with foil or parchment and lay potatoes out evenly. Cook at 450F until cooked through and crispy on the outside (about 30-35 minutes). 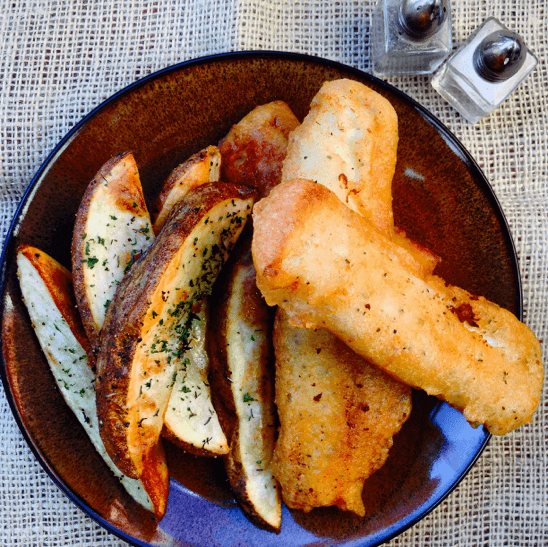 Oh, yes – I love potato wedges and make them often – and this is the way I do them – so much more tasty and healthy then deep-frying.